So, apparently, we took the summer off from blogging. I don’t think we intended to, but I truly didn’t have ANY time to sit down with the computer at any point during the last three months, aside from sending an occasional email and pulling up PJ Masks on YouTube for my 3 year old. We were so busy just keeping the kids alive and safe and the house from deteriorating into a cesspool that I didn’t have any brainpower left to do anything creative at all. Needless to say, we did not homeschool this summer. In fact, I have never homeschooled during the summer, nor have I ever even briefly considered homeschooling during the summer. I can see why parents do it, and I do think that many math and geography and grammar facts probably do evaporate into the ozone during the summer months, but I just can’t make myself or my children “do school” when we could be at the pool, or at the park, or building something awesome out of LEGOs, or just lying around in our pajamas basking in the air conditioning. Plus, two of my kids go to a “normal” school, and it just seems unfair to make the other ones do schoolish things while those two take the summer off. Anyway, before I get into what we’re doing for homeschool this year, I have to share how my homeschooling philosophy has evolved since we started homeschooling in 2010. I’ve talked to other homeschool moms I know, and I think that the way my thinking about education and how kids learn has changed over the years is pretty typical. Maybe, if you’re new to homeschooling or considering homeschooling, I can help you skip some of the struggles that I had in earlier years. 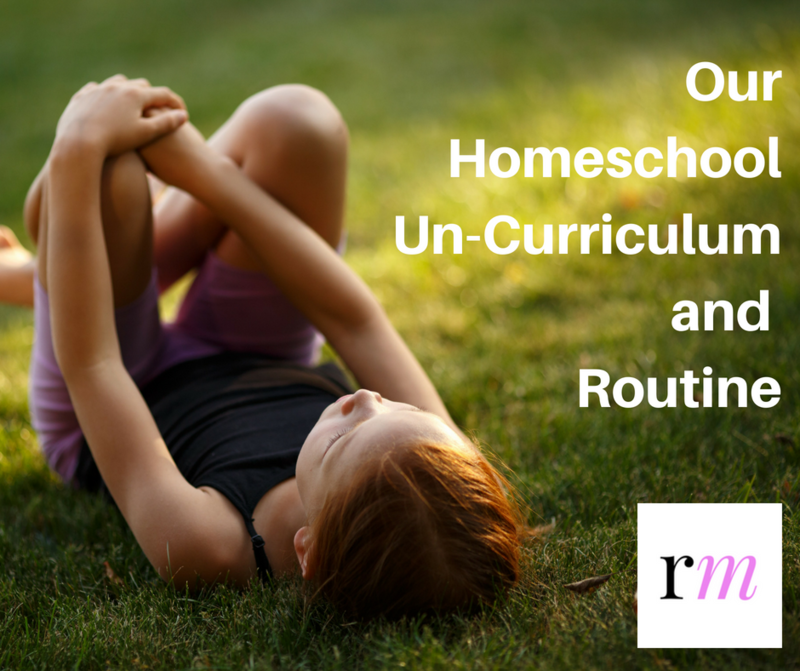 When I started out, my idea of homeschooling was to replicate regular school at home. We had a school room, desks, textbooks, regular school hours, lunch time, recess time, and a very rigorous 32-week agenda. We all pretty much hated it, but I couldn’t conceive of any other way for the kids to learn what I thought they had to learn. Wasn’t school the ideal way to learn? Weren’t textbooks and worksheets the best way to impart information? Didn’t we need to sit still, at our desks, for 6 hours a day so that the kids would learn how to sit still, at desks, for 6 hours a day? Aren’t you kind of supposed to hate school? Shouldn’t kids get used to doing stuff they hate, so they’re prepared for doing stuff they hate at their jobs? We tried many, many, MANY different curricula – Saxon Math, Teaching Textbooks, Math U See, Our Father’s World, Learning Language Arts Through Literature, Emma Serl’s Primary Language Lessons, Institute for Excellence in Writing, the Robinson Curriculum, and Story of the World, just to name a small fraction. Every year, we changed curriculum in the hopes that we would eventually find THE curriculum that would make school fun. Or, at least more tolerable. My kids liked NOTHING. None of it. Each school year got progressively more horrible until, in desperation, I enrolled them in a private school in January of 2015. In 2016, I decided we would try homeschooling again with my younger kids, and I proceeded to do exactly what I had done the last time, setting up a school room, buying a bunch of textbooks and workbooks, and scheduling our days down to the minute. Again, everyone was miserable. Every day, my daughter complained about how her preschool class was SO much better than this, and she hated all of our textbooks, and it was so unfair that her younger brother didn’t have to do anything. But, we endured, and she learned how to read and add, so I felt like the year was a success. In 2017, we enrolled in Classical Conversations (https://www.classicalconversations.com/), which is sort of hard to describe. You go to a group lesson once a week where the kids memorize a bunch of facts in a bunch of different subject areas, then you practice memorizing those facts at home. The older kids put those facts to use and learn more about each subject, but the little kids just focus on memorization and building a foundation for later years. It’s based on the Classical model of education, which is pretty rigorous and intimidating to me. I mean, you have to learn Latin, for one thing. To be totally honest, I didn’t (and still don’t) really understand or enjoy what I perceive to be the Classical model of education. My only purpose was, and still is, to get the kids out of the house, around other kids, and have someone else teach them for a while. And to be around other moms and possibly have an adult conversation with them. And, there’s no required homework, so if we decide we don’t want to practice our memory work at home, no one knows (or cares) whether we did it or not. Grace gets to have a bookbag, and a teacher, and recess, and friends, and for those reasons, we love Classical Conversations. It’s expensive, and getting ready to go there is like packing for a week-long vacation, but right now, it’s well worth it. And you can really impress homeschool naysayers when your 4-year-old can skip count by 15 and rattle off a bunch of random history facts. So that really worked last year, but our at-home schooling continued to deteriorate until, in January, I decided to quit. We closed up the Math books and the Language Arts books and the Handwriting books and just did whatever we felt like doing instead. Were we unschooling? I don’t know. 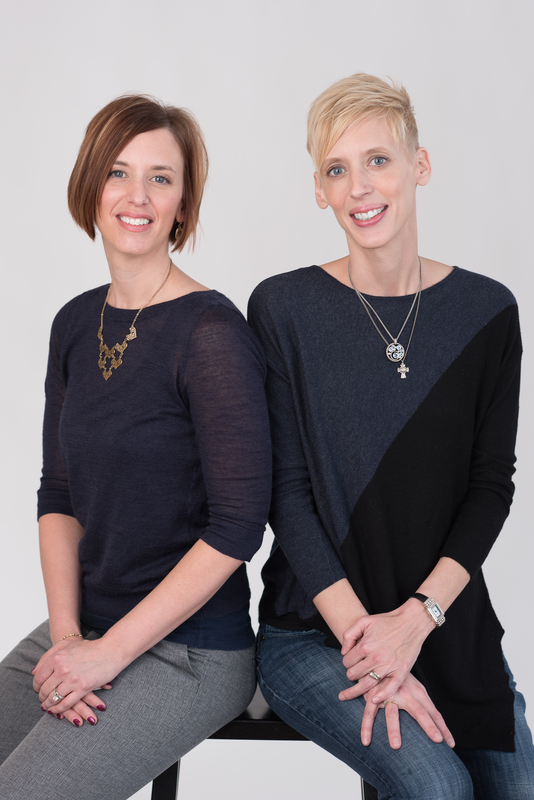 I’ve read a ton of books on unschooling, and I feel like it’s this secret society of ultra-cool parents who would scorn all of my ideas on parenting and education, so I’m not going to call us unschoolers. But we did not do anything that looked like any kind of school from January till May, and it was such a relief. We were still learning – because we are all learning, all the time, even when we aren’t doing worksheets to prove it. When learning isn’t forced, and you let kids’ natural curiosity take over, they actually learn more and retain it longer. For real. You just have to be there, ready to answer questions, and have conversations, and find resources for them to use. One thing that doesn’t get much attention in homeschooling circles is how awful it can be to be not only the “bad guy” in the mom/parenting realm, but to also be the “bad guy” in the teacher/school realm. I felt like all I did all day long was order my children to do things they hate. “Do page 36!” “Rinse off your dishes!” “Pick up that toy!” I was CONSTANTLY telling them what to do (and stop doing), every minute of the day. Now, I know that kids have to learn to do things they dislike, but our WHOLE day was one long series of chores that they (and I) hated. It was nice to say yes to things like going to the park, building forts, and even (gasp) watching cartoons. Not surprisingly, I’ve found that many of the things I’ve taught my kids while we’re all in the hating-school frame of mind doesn’t stay with them, so all of that time we spent doing workbooks was actually less productive than trips to the park or playing Barbies (which, if nothing else, at least teaches us that we can enjoy each other). So, while we were on hiatus from homeschooling, I read a LOT of books. The best were by John Holt (https://www.johnholtgws.com/), who is sort of the father of modern homeschooling, although his vision for homeschooling is to just let kids learn naturally, without curriculum or structure. He gives a very convincing critique of our education system in the United States, and he’s therefore very against the type of homeschooling that I had always thought I needed to do, and the type I had been basically failing at for 7 years. Ask yourself these two questions: Did I learn what I was supposed to learn from school? Do I use what I learned in school? For many of us, the answer to those questions is “No!”, yet we continue to think that school is a great way to educate and prepare children for the adult world. As the mom of a high school senior, I am seeing first hand that what school does to prepare our kids for real life is very, very limited. Read one of John Holt’s books (links below); he says it much better and more convincingly than I do. This year, we are just getting started, and I didn’t buy any curriculum at all. I bought some really cool toys (links below), and this thing called Spielgaben (super expensive, but still less than buying curriculum for two students), and that’s it (other than Classical Conversations, which we are going to do again as well). My plan is to read aloud to the kids every day from “good” books (Alice in Wonderland is what we’re starting with), to put supplies on the kitchen table every morning for them to play with (art projects, Spielgaben pieces, LEGOs, math games, magnetic letters), and to get outside (or to the Rec Center, when the weather is bad) for at least an hour a day. My plan is to back way off and let them take charge of what they learn. Just yesterday, Grace told me she wants to learn more about animals and dinosaurs, so I’m going to get out a bunch of books on animals and dinosaurs from our home library. She can read them or look at them or totally ignore them; my role is to give her the resources she needs and let her use them however she wants. Phil and Stevie love to build things, so I’m going to make sure we have plenty of Play-Doh, LEGOs, and blocks to play with. We’ll cook together. We’ll clean up together. We’ll pick up weird rocks and leaves. We’ll Google things. We’ll see what happens when you mix toothpaste and glue and lotion and glitter. We’ll have deep conversations about life, and God. We’ll go places and meet people. I’ll still be the parent, and I’ll still be in charge, but not in the same tyrannical way I was before. It’s a little scary, and I have had moments of panic where I came this close to buying Math books, but remembering this is what keeps me from doing it: I am NOT on a mission to raise kids who are like everyone else, who end up looking to the world to give them a sense of worth and purpose. I am on a mission to raise kids who know and trust God, and look to Him for their sense of worth and purpose. Their natural curiosity will lead them to learning – and to God – much more effectively than any curriculum. I’m their first model of what God is like, and God is not the kind of teacher who screams, “I SAID no snack until your Geography lesson is done!” I know that sounds weird. But I’ve decided that the weirder – the more RADICAL – my homeschool looks in the eyes of the world, the better. If you’re skeptical, try this: Try to pretend that school as you know it doesn’t exist, has never existed, and imagine how you would help your kids learn about the world and become great thinkers – and responsible adults. I’m going to guess that sitting at a desk with a textbook and number 2 pencil is not what first comes to mind.